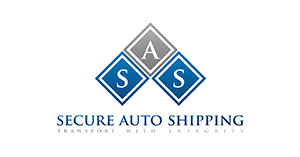 Secure Auto Shipping works year round, that includes the months that we have to transport vehicles through snow capped mountains and on icy roads. If you’re one of the individuals that needs to transport a vehicle during the winter, don’t fret. Our team of shipping and transport experts have years of experience and are licensed and bonded through our business. In order to provide you with the most successful and pleasant experience, we’ve provided you with the key factors that go into shipping your car during the winter. As with any shipping, we suggest that you get all major maintenance needs taken care of prior to shipping. This can include rotating and filling your tires, getting an oil change or fixing any engine problems. We also ask that at least a quarter tank of gas is in your car so that we don’t have to worry about moving it on and off the truck. During this time of the year we will see people moving cooler to states to warmer ones, and often shipping their car to avoid the drive. We also see a lot of RV shipping for hunting season. Cleaning out these types of items before you ship them is a must! Any extra weight will cost you and could change the conditions of the transport. Another thing that you can do to make the shipping of your car simple is by preparing your vehicle, RV, car or motorcycle, for the conditions that it’ll arrive in. If you need to put snow tires on your car before it get’s there, take the time and do it in advance. If your RV is going to need chains on the wheels, have them easy to access so that once your RV is unloaded, you can put them on quickly. Also, making sure you have all the tools you’ll need in case it is snowing where you are, like an ice scraper or antifreeze, is great too! The basic principle that we like to stick to is that if you’re going to ship your car, you should have it ready to go or at least in the state that you’d like it in when it’s delivered. If you’re going to be driving right as soon as you get it, make sure that the gas tank is full so that you don’t have to worry about it. Once you’ve got your vehicle prepared and you live it with us, the rest is in our hands. We can handle any transport, call us today and get a speedy quote.